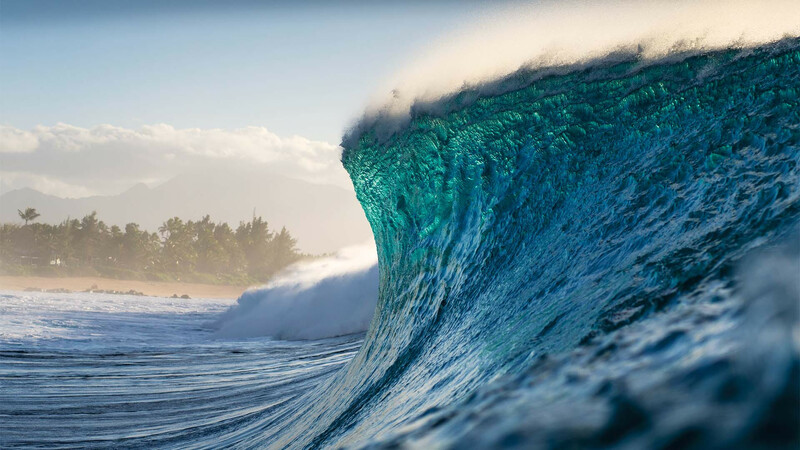 "85mm is my preferred zoom length out at the infamous Banzai Pipeline. It's lightweight, very reliable and you can swim between the photography packs and still find cool perspectives. Here you can see that I'm a little closer to the peak. 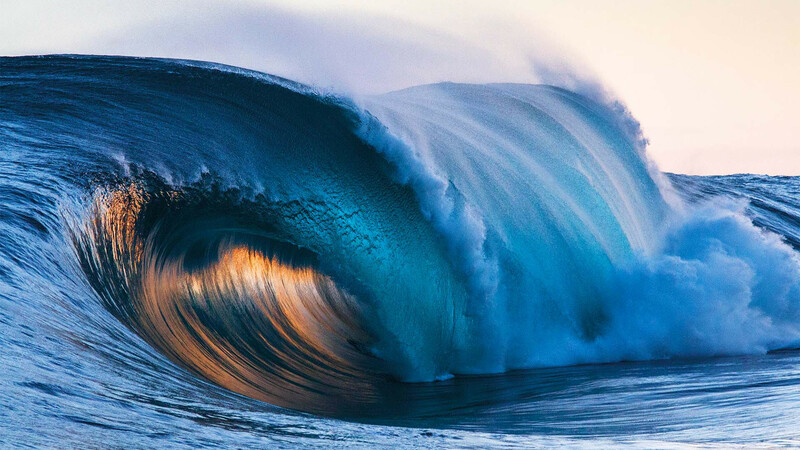 Pipeline is definitely one of my favourite waves to shoot in the world." 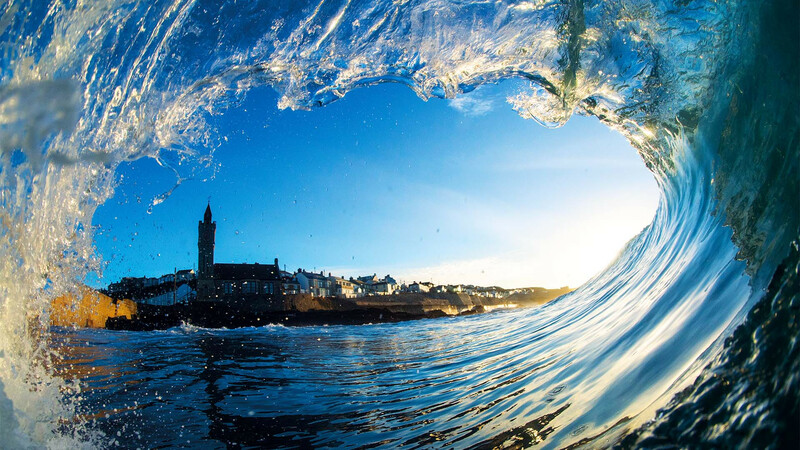 "Shane Dorian made the long trip from Hawaii to Ireland to explore the cold-water scene. He scored Aileens and Rileys as good as they get, which is so lucky it's not even funny. It's a hectic place to shoot as it's so shallow, but the channel is just big enough to hang in without getting destroyed." "Kai Lenny is the very essence of the much-abused term 'waterman'. 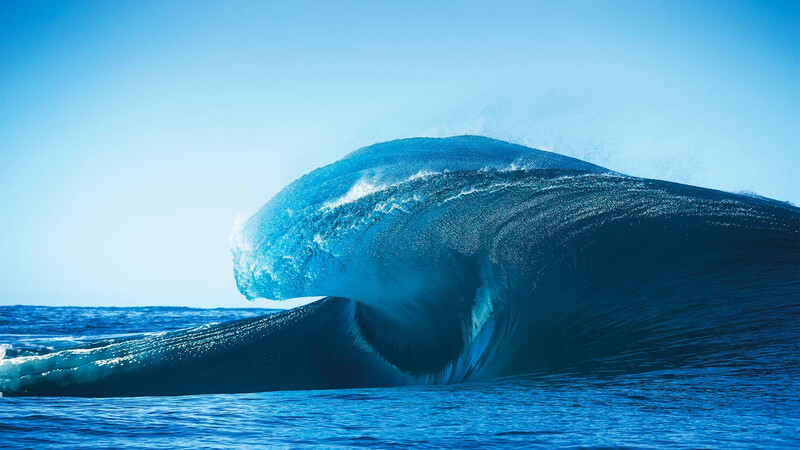 If a wave can be ridden, he can ride it better than most. 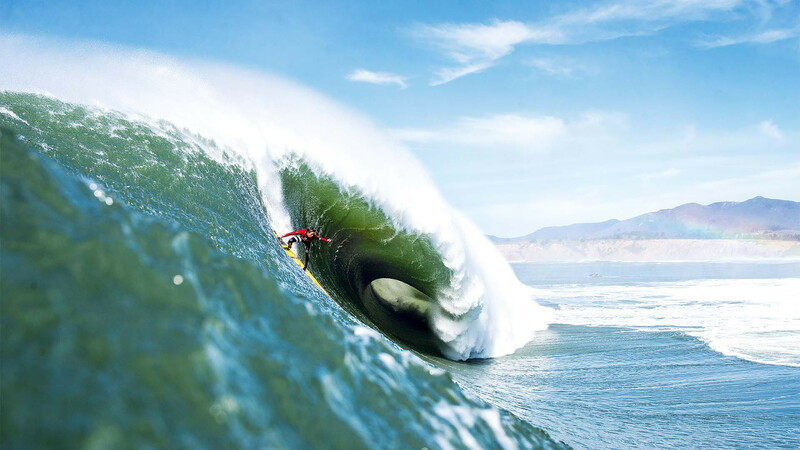 This is him at an all-time day at Mavericks, one of the most dangerous and revered waves in the world." "This photo, called 'Porthole' is one of my favourites from back in 2016, as I've wanted to get a shot that frames the clock like this for so long." "The cobra-looking slab is truly a freak of nature. Peaking and standing up then finally hitting the ledge on the inside, it makes for spectacular images when the conditions align." "This was three days into a four-day 10-20ft swell with offshore winds – it was simply unheard of. The line-up had thinned out and the light opened up to make the most dream-like conditions and I happened to get lucky with a few frames thanks to Russell Ord's tips. I feel like he handed me a gift with his advice and I'm forever grateful. After getting back to land and not eating for six hours, I opened a bag of oranges and they where like the most amazing thing I'd ever tasted. Each time when I now eat oranges it takes me back to that moment." "Me and my best mate arrived at sunrise, went straight out and started pushing our comfort zones. We went in for a feed and I swapped SD cards. Going back out we got a bit too cheeky and ended up losing a camera. Back on land we packed up our gear and drove straight home minus a camera but managed to salvage this." 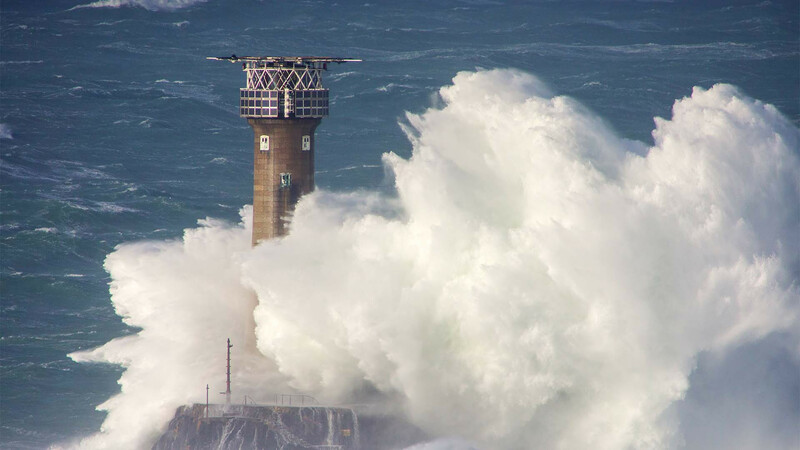 "The lighthouse is 35 metres high so that gives some sense of the incredible energy unloading. 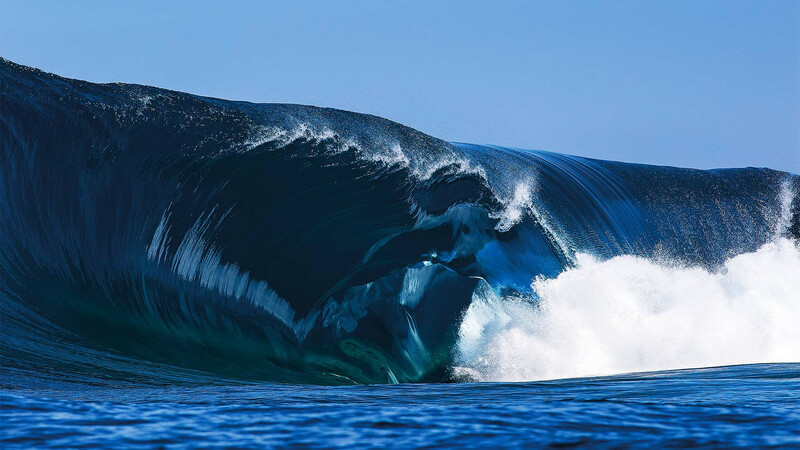 Waves aren't always pretty… Sometimes it's all about the shock and awe. Shooting in a fierce gale with heaps of sea spray in the air was a real challenge. Especially as this was shot on an old 800mm manual focus lens." When does an iconic surf break get its reputation? Is it after years of locals tripping down the coast to ride a particular wave, or is it when an intrepid surf photographer catches that wave at exactly the right moment in exactly the right light? 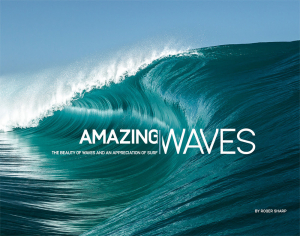 We'd wager it's a mix of the two, which is why we've scoured the archives of the world's very best surf photographers – each of them featured in the new book Amazing Waves – for some of their favourite surf spots from around the world.